Ben (Reception) went into the grounds with his class and Mrs Noviss on a bright, very cold winter morning. The children looked up at the bare trees and sky. They collected a twig to take back to the Art Room. Ben learnt how to make a watery sky and blobbed on some dark watery clouds. He used some paper towel to move the paint around and create clouds. 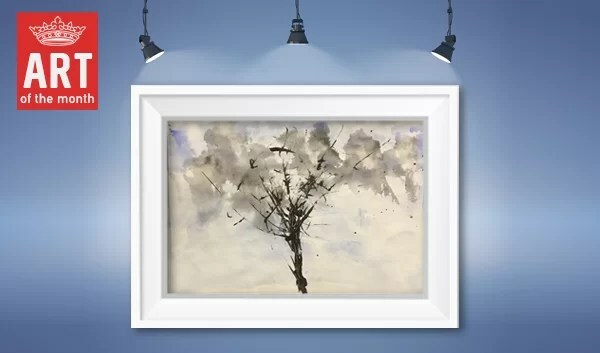 He then used the twig he had collected to paint a tree with black paint. Well done Ben!